The words 'Mr and Mrs' are fixed. 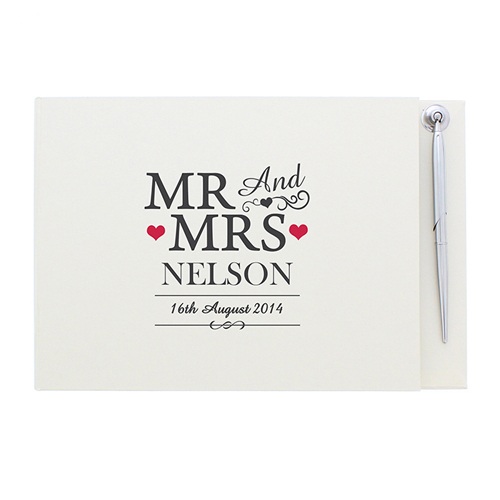 You can then personalise this Mr & Mrs Silver Guest Book and Pen with the couples surname up to 15 characters and a date up to 20 characters in length. The Surname will appear capitalised as standard.